David J. Ferreira, RHU, CLU has joined the Wealth Technology Group as our Small Business Benefits Coordinator. His knowledge and experience will be a real asset to our team! 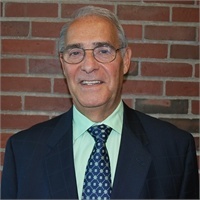 After graduating from Western New England College (now Western New England University) in 1968, he served our country for two years in the US Army, as a squad leader in Vietnam. When he returned home, Dave decided to begin his career as an insurance agent for John Hancock. In 1973 Dave learned of a sales management position in Mass Mutual’s Disability Income Sales Department and took the opportunity. He was with Mass Mutual for 11 years, during which time he received several promotions and earned a Masters in Business Administration from WNEU. David enjoys the challenges of consumerism, and in 1984 went to Sun Life of Canada, where he spent six years as Marketing Manager for their Disability product. After a year as Assistant Vice President and Regional Director at Mass Casualty, he returned to Mass Mutual as an agent, where he had great success. When David decided to again branch out and make a change, we were fortunate enough to be chosen as his new home. David prides himself on his ability to provide his clients with high quality service at reasonable costs. His areas of specialization are: Employee Benefits, Group Health Insurances and Business Insurances. David is also a Registered Representative with Signator. David plays an important role in the local business community, and is active in a variety of professional and civic organizations. He has been past president of WNEU Alumni Association, Milford Lions Club and the Worcester Chapter of Financial Service Professionals. He and his wife Toni reside in Milford, Massachusetts. In his spare hours he pursues his favorite pastime – golf, which is second only to spending time with his children Diana and David, and his fabulous grandchildren – Caroline, Jack, Carly & Jake.